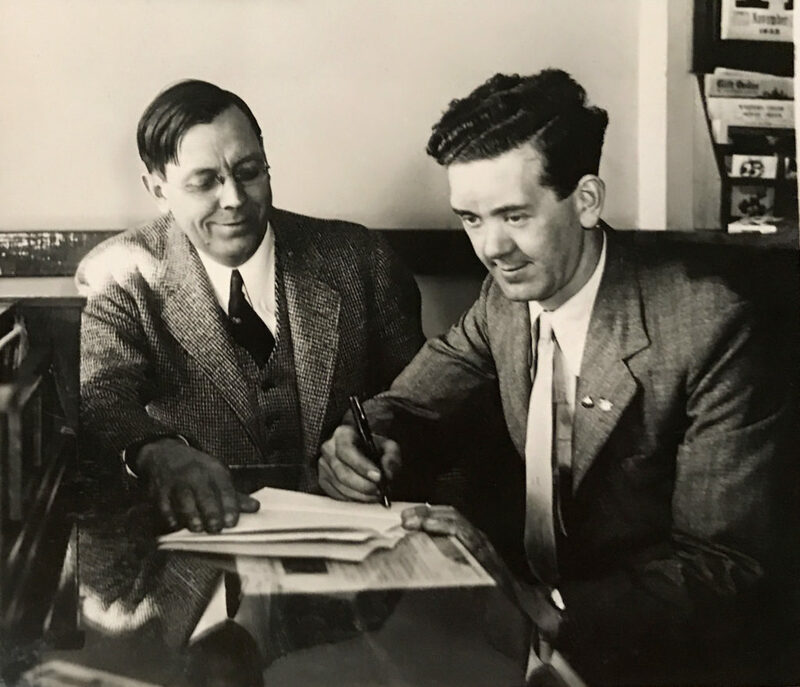 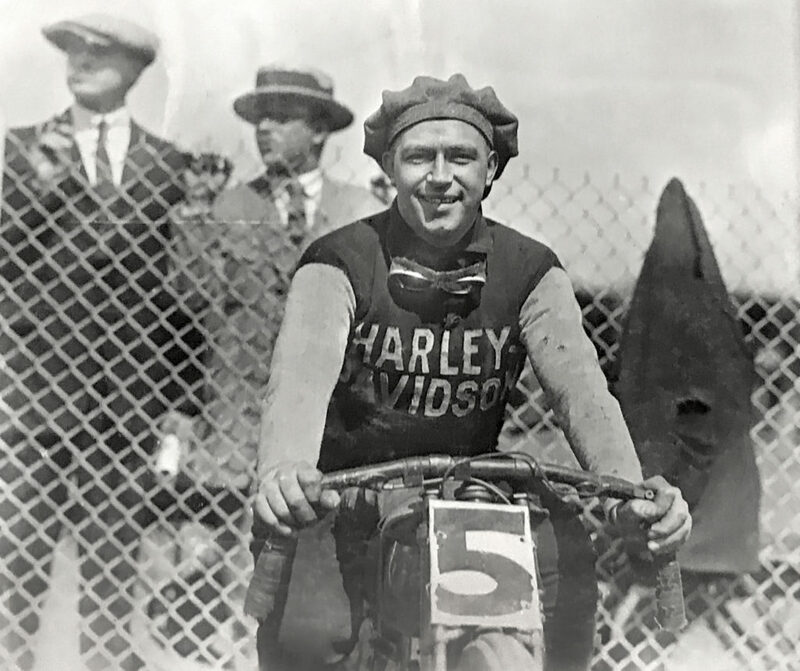 When the sport of dirt track (later called speedway) left American shores and reverberated back from Australia in the mid-1920s, it was suddenly a big deal, everywhere in the world. 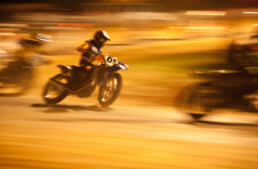 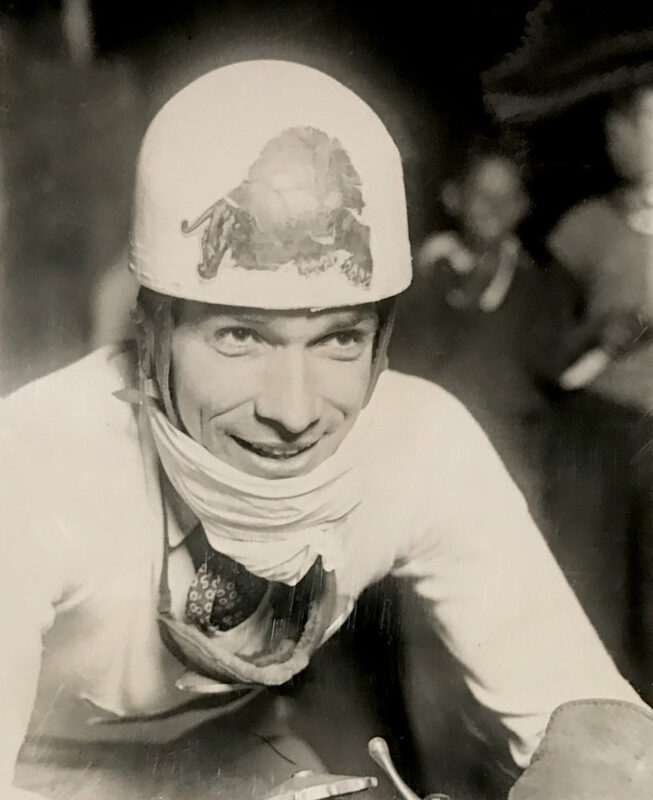 The old board track racing days were over, as they were simply too dangerous for riders and spectators alike, and their popularity faced with a withdrawal of support from the sanctioning bodies of racing. 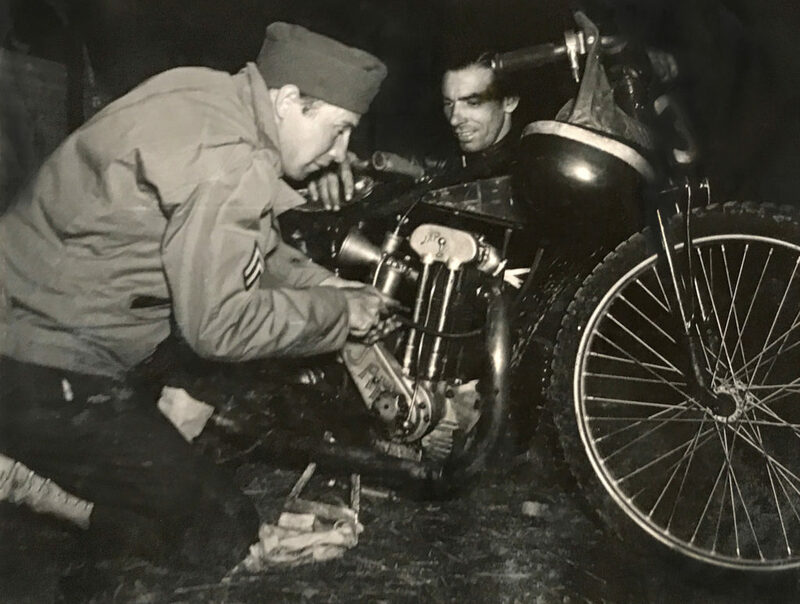 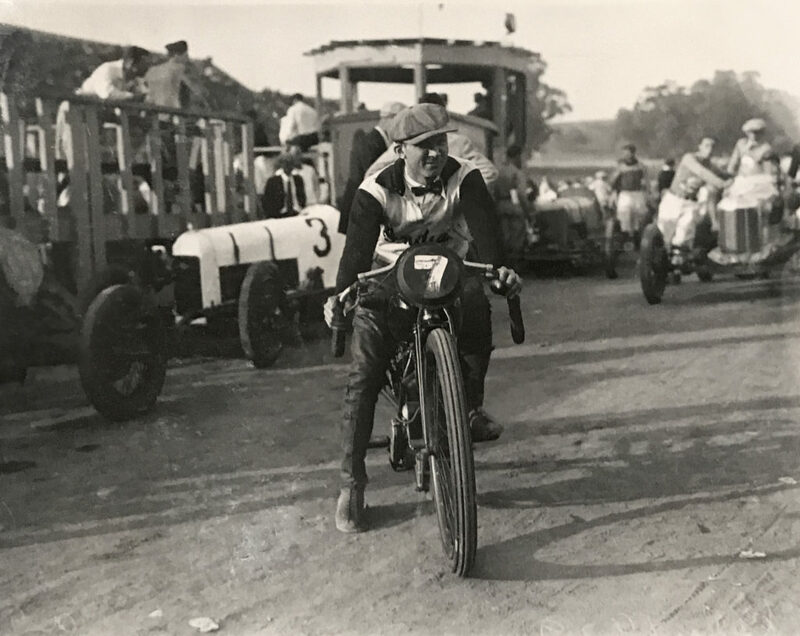 Speedway riders recaptured the public’s attention, using spectacular broadsliding techniques to slide around circular or oval tracks while hard on the gas, and many credit Sprouts Elder as the man who perfected the form, and brought it to Australia on a racing tour. 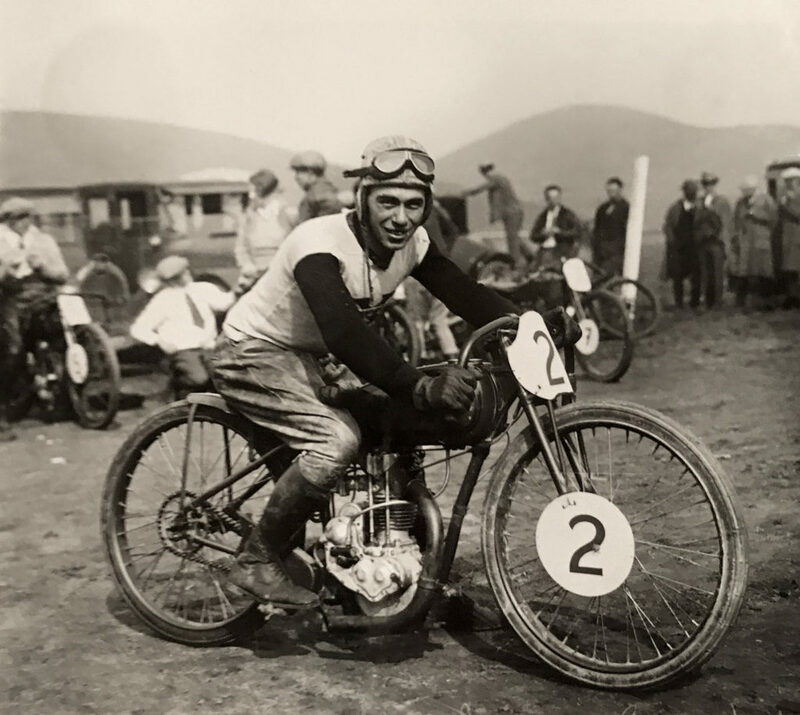 Traveling to Australia, New Zealand, and South American in the winter months meant these riders could work all year ’round, and while at first (1925-28) Douglas flat-twin racers were the bike to beat, it wasn’t long before Indian and Harley-Davidson offered their own specialized dirt-track racers in single- and twin-cylinder form. 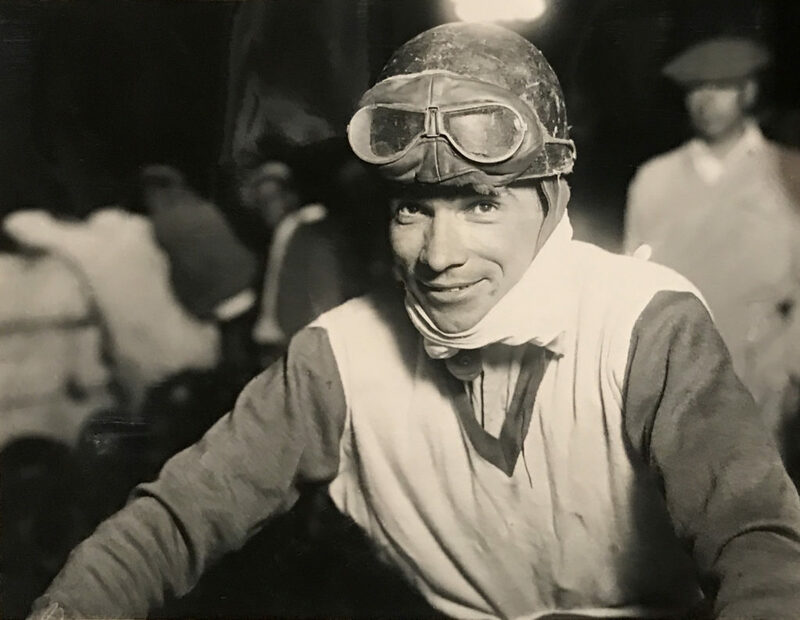 There was a time in these early years when successful riders could earn a significant income from racing, especially as crowds at some venues could exceed 30,000 people. 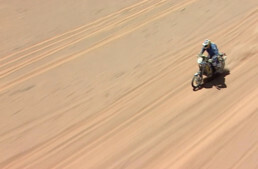 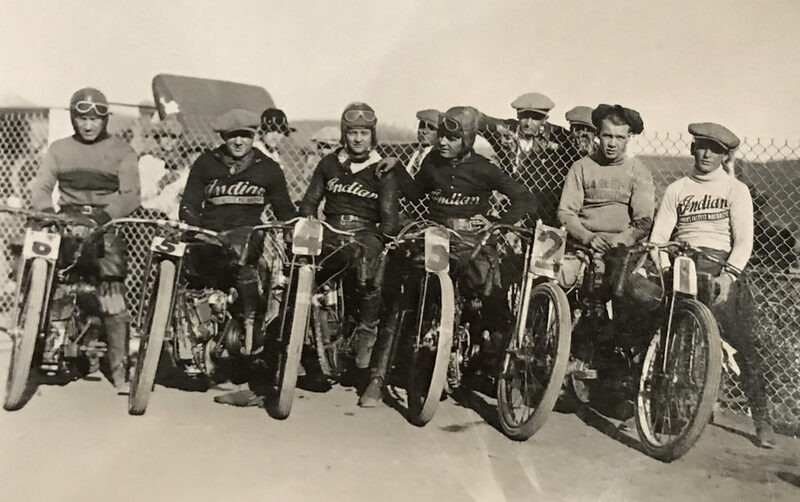 These riders were superstars in the most popular motorsport of the day, and Sprouts Elder, Joe Petrali, the Milne brothers, were household names. 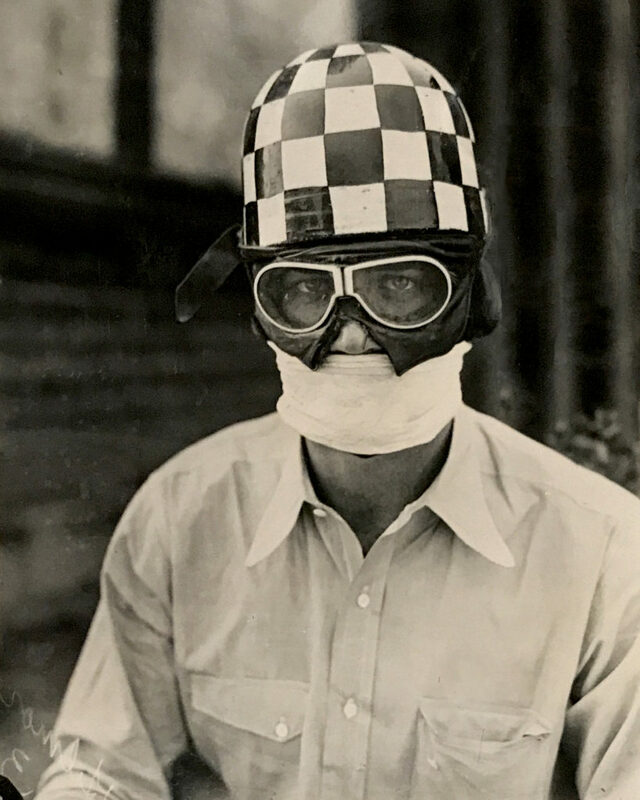 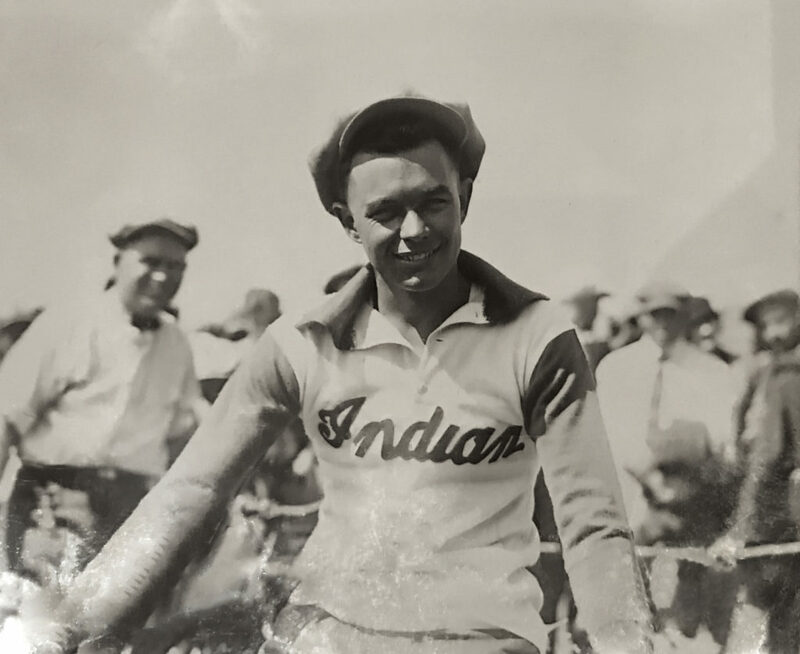 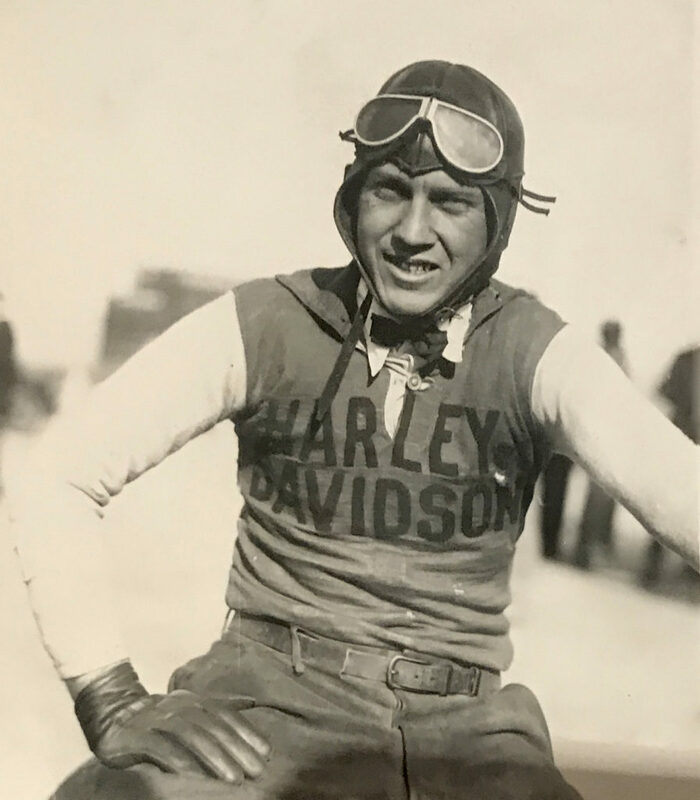 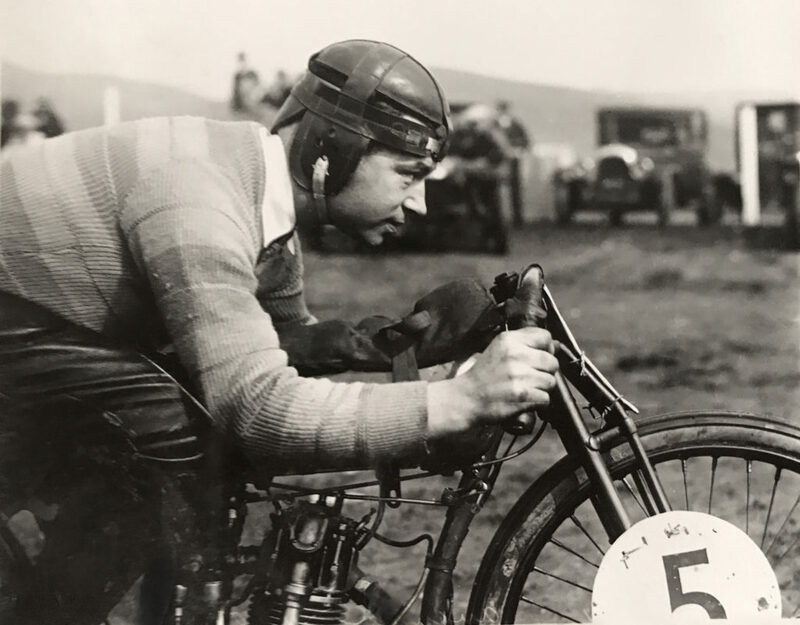 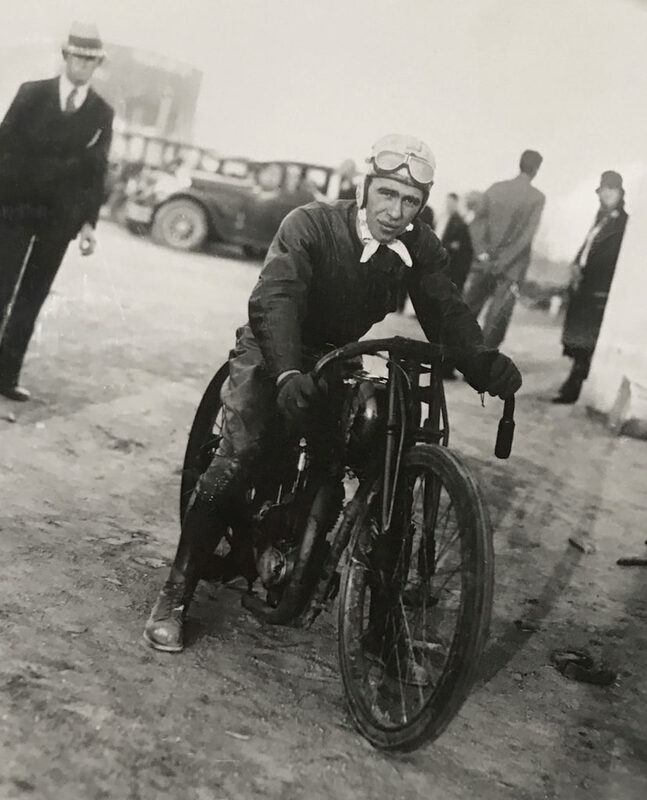 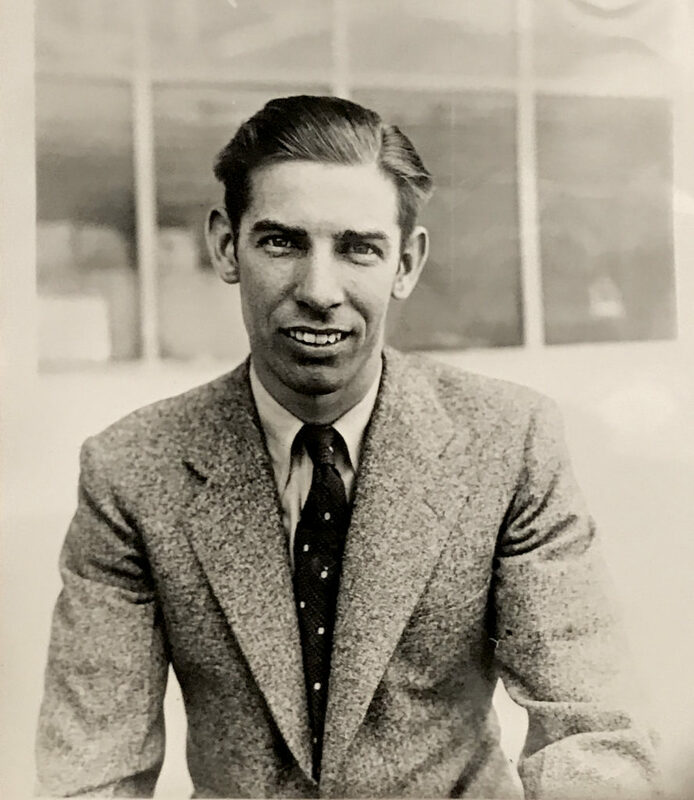 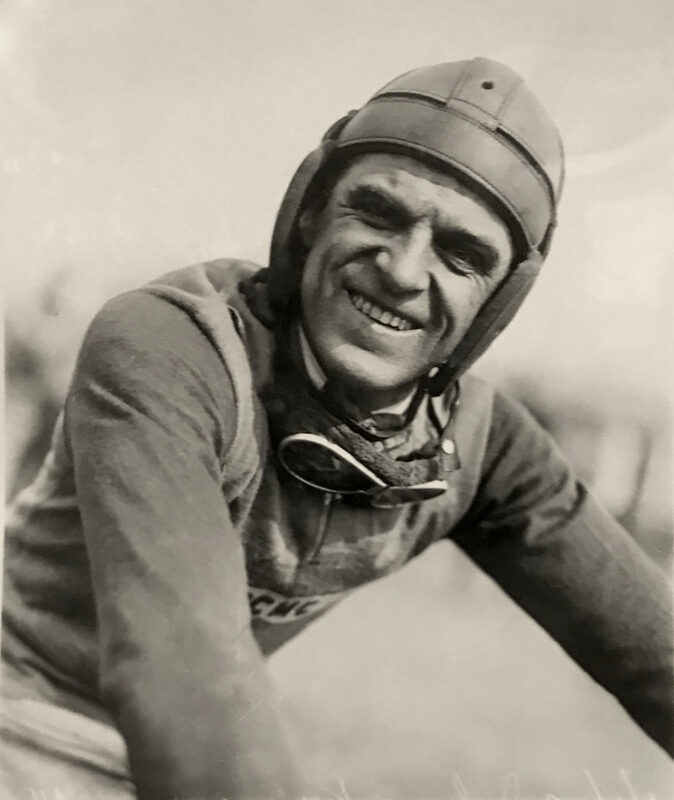 These publicity photographs are a terrific record of these racers, as all are shot between 1927-1933, the glory years of American speedway racing, and the dawn of American factory participation in this relatively new sport. 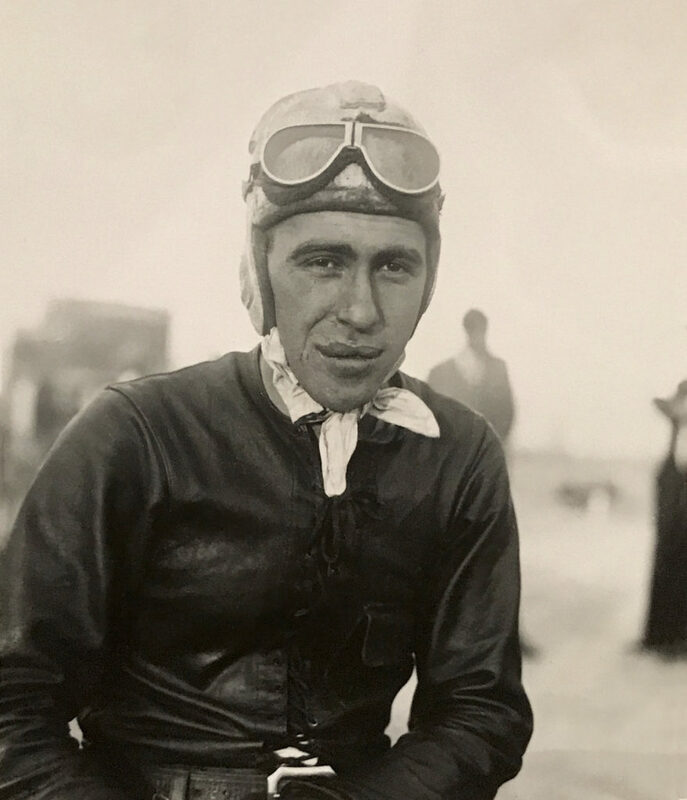 These photographs, captured at the Bonhams Las Vegas sale, were part of an album of publicity photos showing 1920s/30s California racing history. 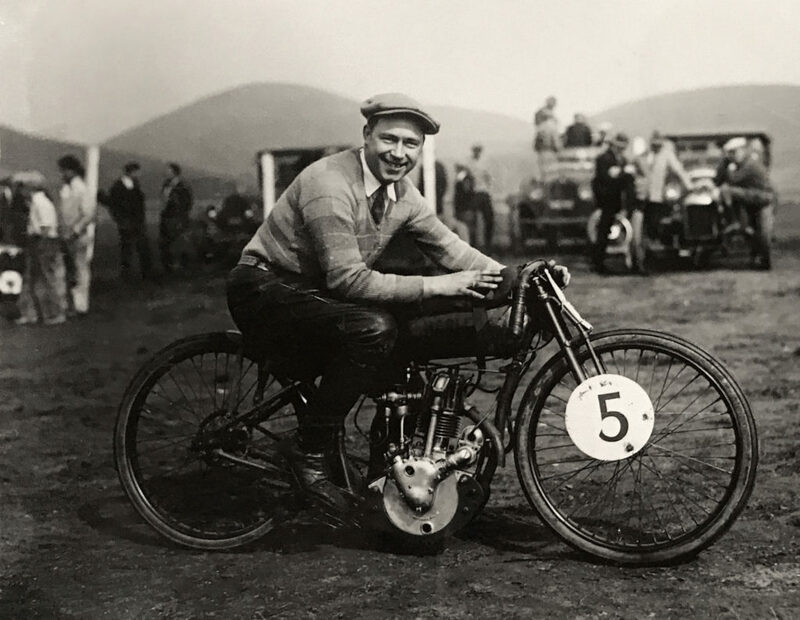 They were obviously collected by a fan (or promoter), and show a few of the most famous and successful professional dirt-track and hillclimb racers working the West Coast tracks at the time. 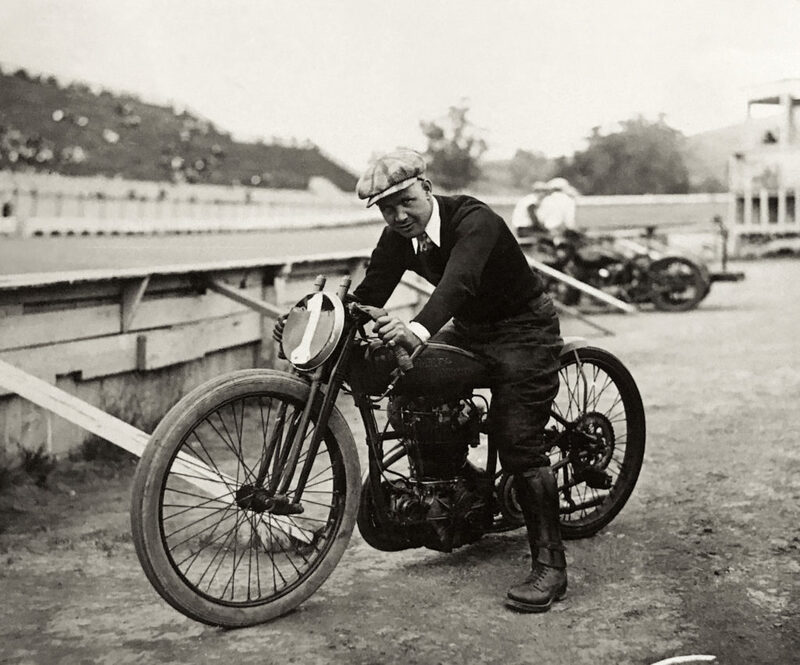 I love the pics with motorcycles AND racers or owners. 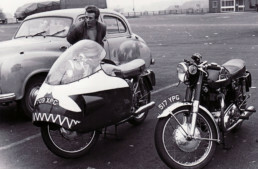 Such number of characters around the motorbikes. 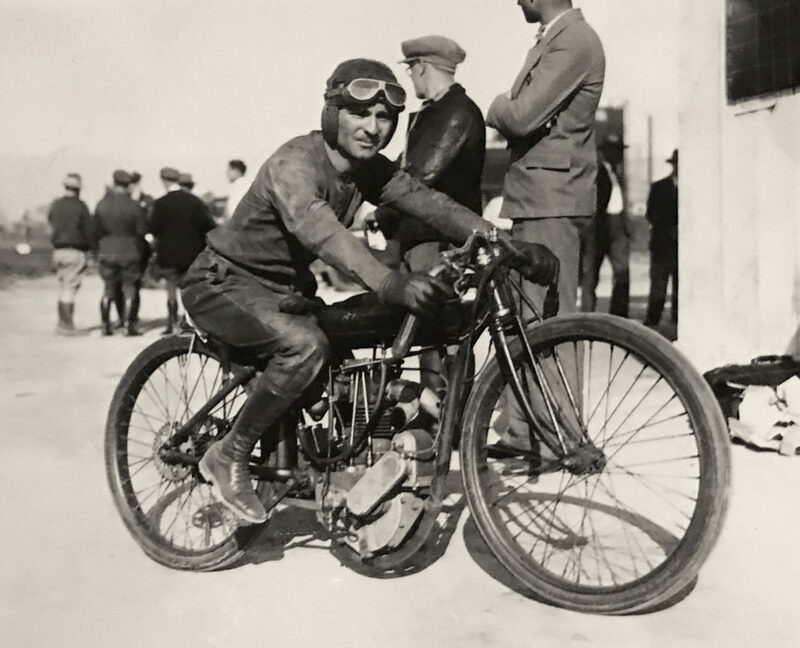 Who know that Petrelli was the favourite Howard Hughes airplanes mechanic? 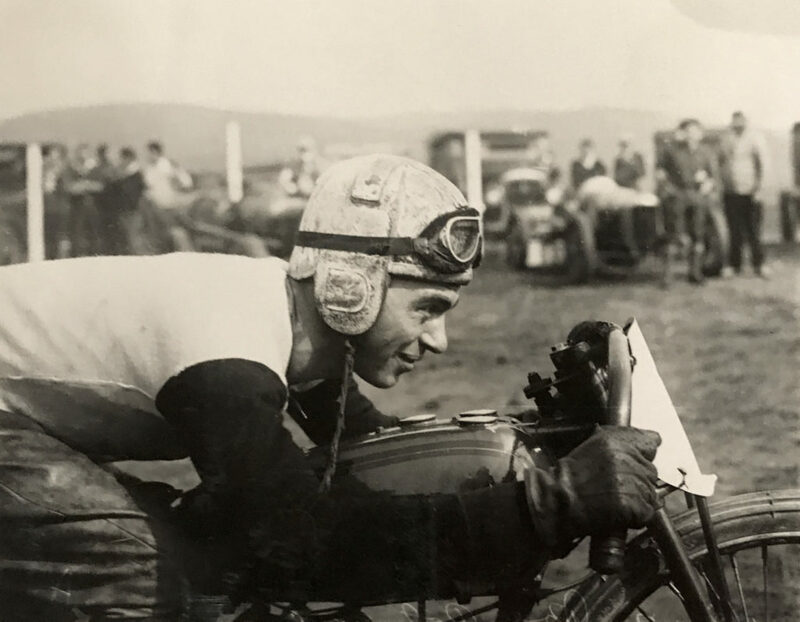 Thanks for those pics, Paul. 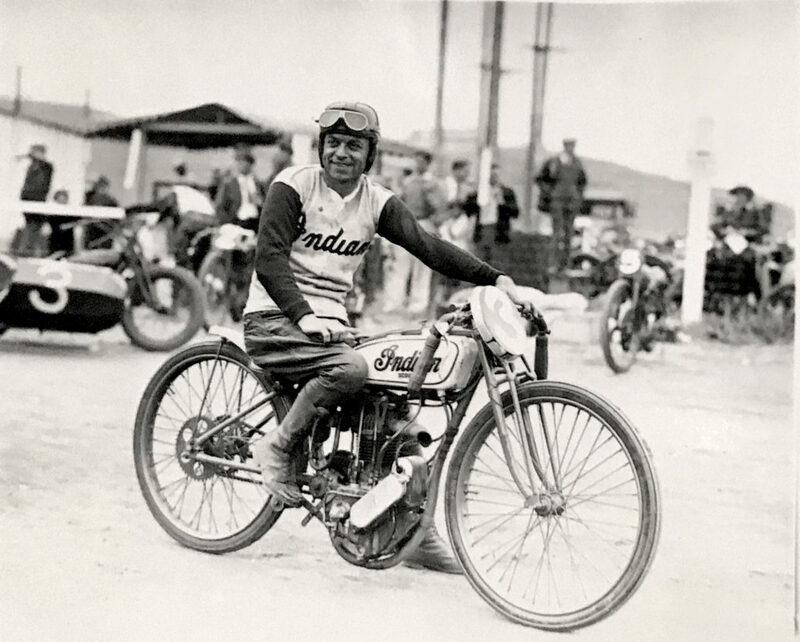 Thanks for pointing out the differences between Indian’s race-shop single-cylinder speedway motors and the OHV version of the production Prince roadster.